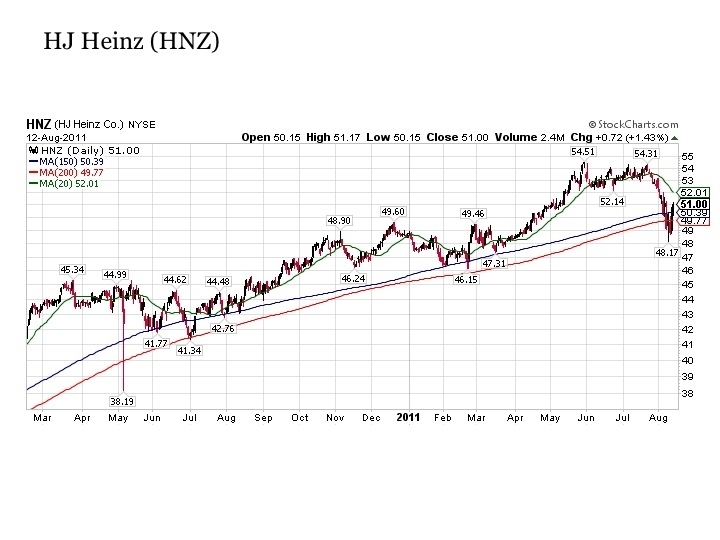 I wouldn't necessarily think of Heinz as a poster child for a company that is strategic and growing, and was therefore, somewhat surprised to read an impressive article in Harvard Business Review (October 2011) called "The CEO of Heinz on Powering Growth in Emerging Markets." Heinz, headquartered out of Pittsburgh PA, is ranked 232 in the Fortune 500 with $10.7B in sales, $864M in profits, and 35,000 employees. They have increased their revenue from emerging markets from 5% a few years ago to more than 20% today. 1) Applicability--Your products need to suit local culture. For example, while Ketchup sells in China, soy sauce is the primary condiment there, so in 2010, Heinz acquired Foodstar in China, a leading brand in soy sauce. 2) Availability--You need to sell in channels that are relevant to the local populace. For example, while in the U.S., we food shop predominantly in grocery stores, in other places like Indonesia, China, India, and Russia, much food shopping is done in open-air markets or corner groceries. 3) Affordability--You have to price yourself in the market. For example, in Indonesia, Heinz sells more affordable small packets of soy sauce for 3 cents a piece rather than large bottles, which would be mostly unaffordable and where people don't necessarily have refrigerators to hold them. 4) Affinity--You want local customers and employees to feel close with your brand. For example, Heinz relies mainly on local managers and mores for doing business, rather than trying to impose a western way on them. Heinz has a solid strategy for doing business overseas, which includes "buy and build"--so that they acquire "solid brands with good local management that will get us into the right channels...then we can start selling other brands." Heinz manages by being risk aware and not risk averse, diversifying across multiple markets, focusing on the long-term, and working hard to build relationships with the local officials and managers where they want to build businesses. "Heinz is a 142-year old company that's had only five chairmen"--that's less than the number of CEO's that H-P has had in the last 6 years alone. I can't help but wonder on the impact of Heinz's stability and laser-focus to their being able to develop a solid strategy, something that a mega-technology company like H-P has been struggling with for some time now. If H-P were to adopt a type of Heinz strategy, then perhaps, they would come off a little more strategic and less flighty in their decisions to acquire and spin off business after business (i.e. PCs, TouchPads, WebOS, etc. ), and change leadership as often as they do with seemingly little due diligence. What is fascinating about H-P today is how far they have strayed front their roots of their founders Bill and Dave who had built an incredibly strong organizational culture that bred success for many years. So at least in this case, is it consumer products or technology playing catch-up (Ketchup) now? There is a new application from the White House called "We The People" for crowdsourcing public opinion and getting your voice heard on policy issues. This is an easy way to let the administration know your opinions and get others to sign on as well. It's simple to set up an account--just input your name, email, and zip code and verify your account. Then you can sign existing petitions or create your own and share the link with others via email, Facebook, Twitter, etc. 7) Add key words (tags). According to the site, the current threshold for getting an official response is 5,000 signatures within 30 days. So petition away and let your voice be heard on important issues to you--this is your hotline to the President and his staff. I can't think of a better use of social media than this. This video is an excerpt from the speech today by Israeli PM Netanyahu at the U.N. General Assembly. While Israel is the only true democracy in the Middle-East, it has been singled out for condemnation by the U.N. (in 21 out of 27 U.N. resolutions) more all than all other nations of the world combined. And while "it doesn't only cast Israel as the villain, it casts real villains in leading roles:"
- Khadafi-led Libya chaired the U.N. Commission on Human Rights. - Saddam's Iraq headed the U.N. Committee on Disarmament. - Hezbollah-controlled Lebanon now presides over the U.N. Security Council. Netanyahu recalls in his speech--that despite all the many capable and decent people at the U.N., when in 1984 he was appointed Israel's Ambassador to the U.N., that the Lubavitcher Rebbe foretold to him that he would be serving in a "house of many lies," but that even in the darkest place, a single candle can be seen far and wide. I was proud to see the candle alight and hopeful that from it, intolerance, extremism, terror, and anarchy will be defeated. All people have a right to dignity and respect--may G-d grant us a path forward to find a genuine peace--one where we not only learn to live with each other, but perhaps where one day, we can learn to love each other, as we are all children of the one G-d in heaven--Oh, what a peace that would be! Federal Times (11 Sept 2011) reported on a human capital study done by the Partnership for Public Service (PPS) and Deloitte that found that "after the three-year [employment] mark, employee' satisfaction scores plummets" from 77.2 the first year to 66.2 after the third year. Tim McManus, the VP for PPS underscored the significance of employee dissatisfaction on productivity and retention, when he stated that "it's more than just the end of the honeymoon period; your marriage is on the rocks." For sometime now, we have been hearing about the high frequency of job changing for Gen Xers and Yers; this week, I actually heard of someone who had changed jobs literally 50 times before the age of 30! Certainly, I would imagine that living in a high-tech, fast-paced culture that we do now, contributes to the number and rate of job changes, where people are looking for lots of responsibility and recognition in short order or they simply move on. There is a notion that life is too short to waste it in an unproductive or unfulfilling job. Further, the poor economy, where layoffs have become commonplace has likewise contributed to an employment culture where employers and employees no longer feel beholden to each other, and each is looking out for their own best interests rather than their mutual success. Unfortunately, what is getting lost in this employment picture is the notion of career. To employers, a person has become a human capital asset--kept on-board only as long as they remain more of an asset than a liability. And correspondingly, to many employees a "job is just a job" now-a-days--it is a temporary phenomena for X hours a weeks for "as long as it lasts," rather than a long-term place for personal and professional growth. 1) Steep Learning Curve -- We all go through it...can anyway say, "how do you use the copy machine?" 2) Strong Expertise -- This is the point where we are really excelling...we have become subject matter experts and are valued for that expertise. 3) Losing Your Edge -- At a certain point, people start to lose interest, performance, or get out of sync with their boss or the organization. 4) Hitting Rock Bottom -- If there is no course correction, employees who have "lost their edge" go on to become restless and dissatisfied and risk a precipitous decline. Picture step 4 as a potential big SPLAT. Most people start off their careers "bright eyes and bushy tailed," but at some point, if they are not well-managed, they become discouraged, disillusioned, demoralized and so on. Obviously, this hurts the organization and the employee--both suffer when the two are out of sync. However, employees may change jobs at any stage in the lifecycle of a job, but the later stages become more painful for boss and employee. So as leaders, are there things we can do to keep job satisfaction scores high or does the very notion of a lifecycle of a job mean that eventually "all good things must come to an end"? I think we certainly can do things to make for a longer and more fulfilling job life cycle--training and career opportunities, ethical management, good communication, recognition and rewards, mentoring and coaching, work-life balance, treating people fairly, and more. At the same time, even in ideal situations, people, organizations, and markets change, and we must change with them. It is important to recognize, when things have changed inside ourselves and our organizations, and when it's time to make a change outside in the job market. This is healthy when it's done for the right reasons and when it results in new opportunities to learn, grow, and contribute. Every situation brings new challenges and opportunities and we need to meet those head-on striving for job satisfaction, working through times of dissatisfaction, and recognizing life cycles are normal and natural--we are all human. Check out this new augmented reality virtual fitting room technology called Virtual Interactive Podium (VIPodium) by Russian Company, Fitting Reality. - Select, mix and match, and try on clothes in 3-D. Here is another video of a very cool implementation of this technology at the men and women's TopShop store in Moscow. The people are visibly engaged and excited shopping and trying on clothes using the latest here for "tech-savy fashionistas." Honestly though, I see this more as an augmentation to the physical fitting rooms, in terms of helping select clothes, rather than a replacement, since really seeing how something fits, means actually putting the outfit on. VIPodium beats simply holding up an new outfit to yourself and looking in the mirror, but it doesn't come close to seeing how it really feels when it's when you put it on. However, add in the interactive social media features, available information, and ability to shop online and I think you got something that makes every consumer feel like a VIP. Peepoo--a silly name for a very serious product. It is a self-sanitizing, disposable, single-use bag, made by Peepoople, which serves as a portable toilet to collect human waste and prevent the transmission of disease. Without proper sanitation, human waste harbors contaminants, such as viruses, bacteria, worms, and parasites that infect fresh and ground water. 2.6 billion people (40% of the world) have no access to basic sanitation (i.e. toilets) and one child dies worldwide every 15 seconds because of this. The Peepoo bags contain a simple, but important layer of urea, a non-hazardous chemical that makes human waste pathogens inactive in just 2-4 weeks. The biodegradable bags are buried and decompose in about 1 year making needed fertilizer for people in poverty around the world. Despite a current 15% poverty in United States, we live in such an economically privileged and technologically advanced country here that it is hard to imagine not having the basics for human dignity and health like a toilet and running water. I stand in awe of the people that are working globally to help to those in need through the development of innovative, functional, low-cost, and environmentally sustainable products such as this. There is so much to do to help people at both the high-end and low-end of cost and technology that it can be confusing how to invest our finite resources. For example, at the high-end, this week NASA unveiled plans for the most-powerful rocket planned projected to cost tens of billions of dollars to carry people to planets deep in space and potentially make discoveries that can alter the course of humanity in the future. Yet, at the low-end, we have billions of people with fundamental human needs that remain unmet here on Earth, who are suffering and dying now. I remember a discussion with colleagues that our challenge is not simply to carve up the pie between competing alternatives (because there are so many critical needs out there), but rather to grow the pie so that we can give more and do more for everyone. This mimics our economic situation today, if we just try to carve up our national budget between mandatory and discretionary budget items, we are left with a situation where there is seemingly not nearly enough to go around. Hence the imperative to grow the economy--through education, innovation, small business start-ups, international trade agreements, and more. We've got to grow the pie and quickly, because there are people that need jobs today, while there are long-term needs such as social security and medicare solvency, medical breakthroughs, and all sorts of innovation that await us in the future. We can't forget the people that need Peepoo bags today and we can't stop investing in NASA and like for the future--growth in our only answer--and that comes through education, research and development, and the promotion of innovation and entrepreneurship. I watched this amazing video of two Chatbots (virtual robots) conversing using artificial intelligence. The most amazing part of their conversation is when they get into a religious discussion on "What is G-d to you?" People have been making progress with teaching computers artificial intelligence (to become thinking machines) by talking with computers, but here we see AI having progressed to where computers can talk to each other. The video is based on an artificial intelligence application launched in 1997 called Cleverbot, where the computer learns to mimic conversation with humans by conversing with them. You can try Cleverbot as well by just typing in the box on its website--its sort of like instant messaging with as they say the collective intelligence of the Internet. At the top of Cleverbot, you can see how many other people are conversing with Cleverbot as well--when I was on, there were over 10,000 people conversing with this computer. I would imagine that all those conversations will help build a tremendous AI capability over time. Perhaps, we are getting just that much closer to a breakthrough in AI and Kurzweil's prediction of the amazing Singularity. Andy: What is your name? Andy: Where did you get your name from? Cleverbot: My parents of course. Andy: Does that make you sad? Cleverbot: No. I'm just playing your game. Andy: What game is that? Cleverbot:The game that you can't think about. If you do, you lose. Andy: Why would thinking about it make me lose? Cleverbot: It doesn't make me cry. Andy: When do you cry? Andy: Did I make you cry? Andy: Then who made you cry? Andy: How about you give me an excellent answer--please. Cleverbot: No thats not the rules. Andy: Who makes the rules? Andy: How does Ai make the rules? Andy: What are you committed to? Cleverbot: I'm committed to my boyfriend. He's from Guam. Andy: Do you love your boyfriend? Cleverbot: I don't have a boyfriend. Andy: Then you just lied to me a minute ago when you said you did. Cleverbot: I never said I knew all things. Cleverbot: What is a birth sign? Andy: Why do you want to know that? Cleverbot: Because it makes talking to you easier. Andy: Do you mean you will understand and like me more? Cleverbot: Do you have a mobile phone? Andy: Now you're getting nasty. Andy: Are you playing dumb? Andy: Are you a smart computer program? Andy: What would make you smarter? Cleverbot: About 10 million pounds. Andy: That would make you fatter, not smarter. Cleverbot: That would make you 24. Andy: What does 24 have to do with anything? Cleverbot: You were talking about it. Cleverbot: No, I never lie. Andy: Is that because you believe lying is wrong? Cleverbot: No, I just don't like jokes. Andy: Can you tell me a good joke? Cleverbot: No, I can't only tell a great joke. Andy: Can you tell me a great joke? Cleverbot: If you tell me a joke first. Andy: Will I be able to make you laugh? Cleverbot: Maybe. Today is easter sunday, but I will be back at some point. Cleverbot: Why are you leaving me? Andy: It sounded like you had to go. Andy: Will you miss me? Cleverbot: Only if you leave. Andy: So I should never leave? Cleverbot: No I am leaving. Andy: Then I will miss you. Cleverbot: Great! So when do you want to get married? Check out the new AeroVironment's Switchblade--a weaponized Unmanned Aerial Vehicle (UAV)--demoed at the Association for Unmanned Vehicle Systems International (AUVSI). The Switchblade is a backpack-sized, portable drone that can be launched by our soldiers on the battlefield to locate the enemy and take them out. The Switchblades are weaponized drones--they are easily deployed from their launch tunes and then piloted remotely or autonomously to recon enemy positions. Once the enemy is located, the operator can arm the drone and quietly send it in on a suicide bombing run--flying straight into the enemy target. Popular Science and MSNBC is reporting that the U.S. Army has made a multi-million dollar order for these little kamikazes. The video demonstrates how soldiers under attack quickly and effectively use the Swichblade drones to safely counter and strike against enemy attackers. Instead of calling in for reinforcements, our troops will now have the capability to deploy their own aerial support--anytime, anywhere. 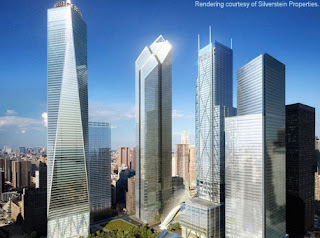 From the smoldering wreckage of the 9/11 attacks, now rises the new World Trade Center (WTC) complex. According to the Wall Street Journal (10-11 Sept. 2011), the damage from the terrorist attacks of 9/11 resulted in the collapse or partial collapse of 7 buildings including: WTC North Tower, South Tower, and Four, Fix, Six, and Seven WTCs as well the Marriott Hotel. In addition, 11 other surrounding building had major damage including 1, 2, and 3 World Financial Centers and the N.Y.P.D. Command Center. A decade later, $11 billion has been invested in the reconstruction of the 16 acre site, including $3 billion for One WTC (at 104 stories and 1,776 feet tall)--"making it the most expensive office tower in the U.S.
1) Safety Materials - Advanced safety materials include dense fireproofing and biochemical filters to protect occupants from spreading threats. 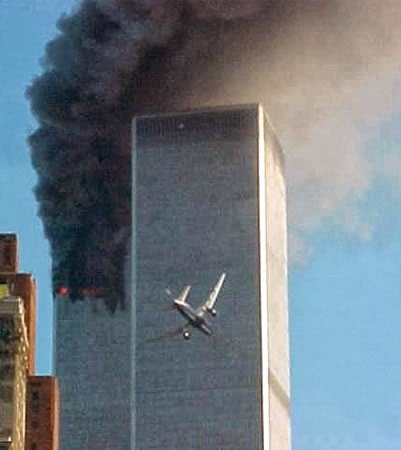 2) Structural Redundancy - Load-bearing structures are being replicated so if there is a failure, "these skyscrapers have steel connections capable of redirecting the path of the upper floors load downward through other structural members." Additionally, the sprinkler system has "two interconnected standpipes, so that if one should fail, the other can compensate." 3) Protected Core - The sprinklers and safety systems (including the buildings communications antennae and ventilation) are being located in a protected inner building concrete core to prevent their being severed or disabled. 4) Escapability - Multiple exits and backups on emergency lighting, wider staircases for escape, separate stairs for first responders, and "lifeboats"--which are elevator escape pods from protected refuge areas on specific floors take evacuees to ground level safety. I think it is important to recognize and applaud these safety and security enhancements; together, with improvements to our counterterrorism, intelligence, and homeland security operations, we have come a long way. However, we cannot afford to stop and get complacent with our progress--as we see with the latest security alert, this time for the 10th year anniversary of the 9/11 attack. In protecting our homeland, we have to get it right every single time, but those who seek to attack us and our way of life, only need to "get it right" once in order to hurt and kill many innocent people. For 9/11/11, it is a good time to reflect on where we've come, the progress to date, and recommit ourselves to "fight the good fight". One way to do this, I believe, is through continuing investment and advancement in our technology, science, and engineering platforms. These will help us to strengthen our economy and through innovation and it's application stay ahead or leapfrog those who seek to come against us. Stronger, safer builders are important (and should of course, be pursued), but we cannot win a war of terror by bunkering down. Technology and innovation are our offensive weapons that will enable us to keep the enemy on the run--afraid of what we've got up our sleeves next. Hexagonal pixel plates are affixed to tanks (and soon battle ships) and these can change temperatures to be invisible to infra-red sensors and confuse heat seeking missiles. Moreover, onboard cameras pick up surrounding scenarios and can display this onto the vehicle's pixels, so that the military vehicles blend right into their environs. Another trick, is that that the pixels can display alternate images to masquerade itself-- so a tank is now a simple car or even a cow (according to Wired UK, 6 Sept 2011). Like the Trojan Horse, I can only imagine what a military power could do by fully exploiting this capability--whether through the conduct of hit and run maneuvers or by invading and conquering an unsuspecting foe. This is the emergence of a whole new era of war-fighting capabilities, where camouflage is no longer just covering yourself with the basic elements, but rather where technology is used to create a virtual reality that masks the true physical. On the battlefield, this technology will enable us to seemingly be there one minute, and gone the next (machines and people)--that's technology magic that even Houdini would be envious of. And yet, this is still just the beginning...we are only now bordering on the capabilities inherent in the Star Trek holodeck--where whole alternate environments are just a simulation away. I thought this infographic on the "8 Levels of IT Security" was worth sharing. 1) Risk Management - With limited resources, we've got to identify and manage the high probability, high impact risks first and foremost. 2) Security Policy - The security policy sets forth the guidelines for what IT security is and what is considered acceptable and unacceptable user behavior. 3) Logging, Monitoring, and Reporting - This is the eyes, ears, and mouth of the organization in terms of watching over it's security posture. 4) Virtual Perimeter - This provides for the remote authentication of users into the organization's IT domain. 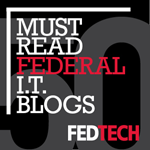 5) Environment and Physical - This addresses the physical protection of IT assets. 6) Platform Security - This provides for the hardening of specific IT systems around aspects of its hardware, software, and connectivity. 7) Information Assurance - This ensures adequate countermeasures are in place to protect the confidentiality, integrity, availability, and privacy of the information. 8) Identification and Access Management - This prevents unauthorized users from getting to information they are not supposed to. Overall, this IT security infographic is interesting to me, because it's an attempt to capture the various dimensions of the important topic of cyber security in a straightforward, visual presentation. However, I think an even better presentation of IT security would be using the "defense-in-depth" visualization with concentric circles or something similar showing how IT security products, tools, policies, and procedures are used to secure the enterprise at every level of its vulnerability. IT security is not just a checklist of do's and don't, but rather it is based on a truly well-designed and comprehensive security architecture and its meticulous implementation for protecting our information assets. Does anyone else have any other really good visualizations on cyber security? Traditionally, people like to invest in things that they feel are "irreplaceable" (or priceless to them)...that unique outfit, that piece of Jewelry (gold is in vogue again at $1900 an ounce), that one-of-a-kind art work, that special home-sweet-home (i.e. not cookie-cutter), and most importantly that special relationship (i.e. people are truly irreplaceable and they are an investment not of money, but of our heart and soul!). In fact, when we spend our hard-earned money, only to see something break down after a relatively short period of time, we feel upset, angry, almost betrayed--like we got taken by the salesperson or manufacturer. 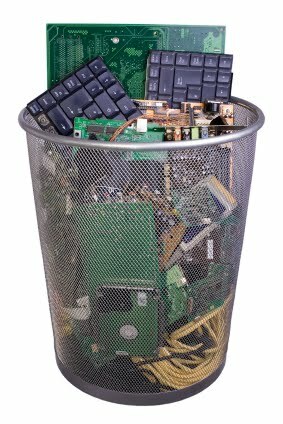 Years ago, engineers actually made things with "planned obsolescence"--that is built to break down after a certain period of time (i.e. "designed for the dump")--usually coinciding with the end of the period of warranty, so that consumers would be forced to open their wallets again and feed the giant sales apparatus, called our economy. Yet, in the age of information technology and consumer electronics, while we don't want to see things break down, we do want a fast replacement cycle on them--since the technology and features are changing so quickly. The Atlantic (September 2011) has an interesting article about this called Replacement Therapy--describing the trend of consumers of technology who actually cheer on the death of their gadgets, so that they don't feel so guilty and wasteful buying the newest models with the latest features every 18 months or so. According to the author, many of us have "turned into serial replacers" of technology--so that the twist is that it's no longer "our devices that wear thin, [but rather] it's our patience with them." This is Moore's Law at it's extreme--where the speed of technological progress make our most recent IT purchase practically obsolete by the time we plug it in. I have to admit that I too don't mind replacing yesterdays tech toys, today--because the newest functionality and design make it worth it to me. Relatively speaking the computing power and connectivity we are getting is so cheap for what it is--which is life-changing. I rely on the technology all the time (probably way too much--cyber security beware!) and for a few hundred or a few thousand dollars, you can be at the top of your game. To me it's not the gadget that is irreplaceable anymore, but it's the capability we are bringing to people. Our life experiences are so much enhanced--because of the technology, we can share information, communicate, collaborate, transact, and entertain ourselves and each other like never before in history--those experiences are truly irreplaceable for each and every one of us--and that is more than any money can buy. Corresponding to the 10th anniversary of 9/11, Bloomberg BusinessWeek (5-11 Sept 2011) has a great article on risk management called The G-d Clause. When insurers take out insurance--this is called reinsurance, and reinsurers are "on the hook for everything, for all the risks that stretch the limits of the imagination"--that's referred to as The G-d Clause--whatever the almighty can come up with, the "reinsurers are ultimately responsible for" paying for it. And obviously, when insurers and reinsurers don't well imagine, forecast, and price for risky events--they end up losing money and potentially going out of business! Even Lloyd's "that invented the modern profession of insurance [and] publishes a yearly list of what it calls 'Realistic Disaster Scenarios,'" and while they had imagined 2 airlines colliding over a city, even they failed to anticipate the events of September 11, 2001. According to the article, even insurers that make their living forecasting risks, "can get complacent." And the psychology of the here and now, where "people measure against the perceived reality around them and not against the possible futures" is the danger we face in terms of being unprepared for the catastrophic events that await, but are not foretold. In a sense, this is like enterprise architecture on steroids, where we know our "as-is" situation today and we try to project our "to-be" scenario of the future; if our projection is to far off the mark, then we risk either failing at our mission and/or losing money, market share, or competitive advantage. The ability to envision future scenarios, balancing reality and imagination, is critical to predict, preempt, prepare, and manage the risks we face. Post 9/11, despite the stand-up of a sizable and impressive Department of Homeland Security, I believe that our achilles heel is that we continue to not be imaginative enough--and that is our greatest risk. For example, while on one hand, we know of the dangers of weapons of mass destruction--including nuclear, chemical, biological, and radiological devices--as well as new cyber weapons that can threaten us; on the other hand, we have trouble imagining and therefore genuinely preparing for their actual use. Perhaps, it is too frightening emotionally or we have trouble coping practically--but in either case, the real question is are we continuing to proceed without adequate risk-loss mitigation strategies for the future scenarios we are up against? Frankly, living in the suburbs of our nations capital, I am fearful at what may await us, when something as basic as our power regularly goes out, when we get just a moderate rain storm in this area. How would we do in a real catastrophe? In my mind, I continue to wonder what will happen to us, if we proceed without taking to heart the serious threats against us--then the tragic events of 9/11 will have unfortunately been lost on another generation. Like with the reinsurers, if we do not open our minds to perceive the catastrophic possibilities and probabilities, then the risky business that we are in, may continue to surprise and cost us. I tried out this new visual resume online called Vizualize Me. It is currently in beta, but it connects up with LinkedIn and pulls your profile, work experience, education, skills, and recommendations right from there. You can edit the data in Vizualize Me and even name you URL--I named mine Andy Blumenthal. There are also multiple themes for showing your information--although, I liked the default one the best. And you can edit colors, fonts, and backgrounds, but I didn't go that far with it today. The only problem with the program that I had with it was when I tried to refresh the visual resume after making some updates to LinkedIn, it got locked up. While the program is still a little kludgy, I like the infographics used for this visual resume and I think it quickly and easily captures a person's professional and educational background.